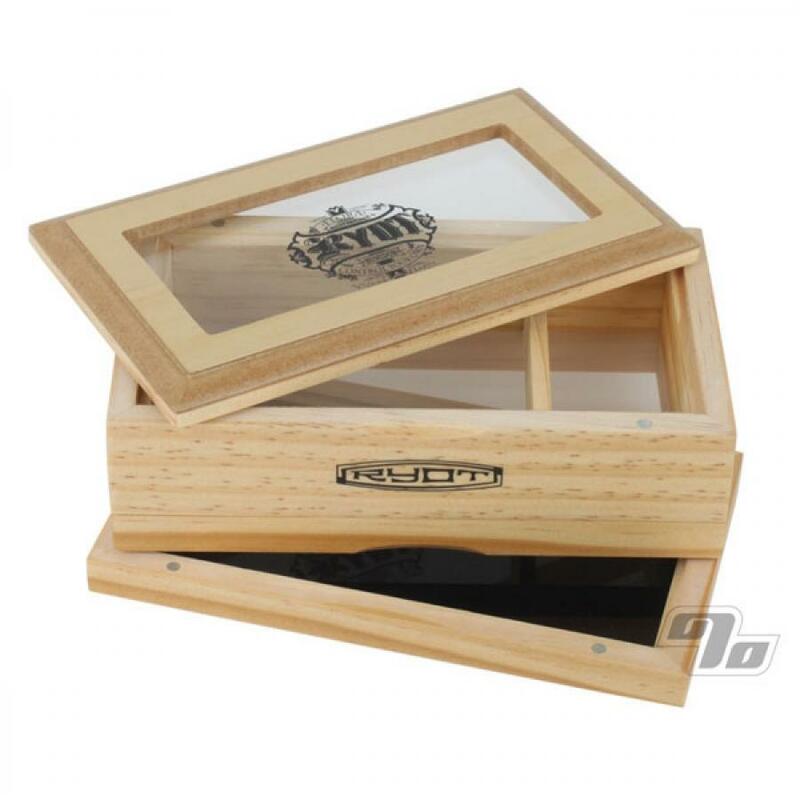 From RYOT comes this beautiful glass top pollen box allows easy essence extraction from a variety of herbs. Collect tiny pollen crystals so you can make your own holistic remedies. The advantages to this design are that it offers both a removable 100 micron monofilament screen and black lucite catching tray for extraction. Added glass top means you can check the contents without removing the top and classes up your storage as well. 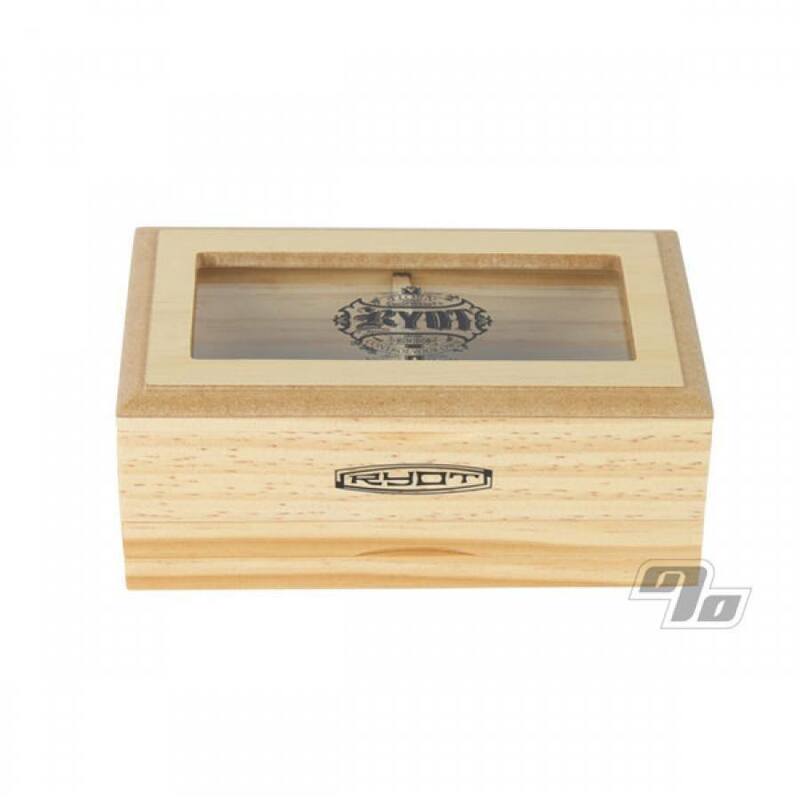 This RYOT Pollen Box also functions great as a humidor to store some fine tobacco or as a Kif box in some states. Intended for the high class connoisseur who wants to hold their herbs in style. Solid wood with natural finish that measures 4.25 inches wide by 7.25 inches long and 3 inches tall. Imported. Recently re-branded RYOT instead of WIKKA but still the same company making the same quality boxes since 2003 w/the updated brand name etched on glass.